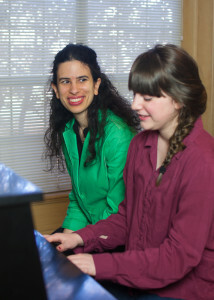 Jennifer Mansour teaches children, teenagers, and adults piano in her private studio in Edmond, OK. Her teaching purpose is to develop well-rounded musicians who play the piano with excellence and will carry a love for music-making throughout their lives. Thus, her curriculum includes piano skills, aural training, theory, sight reading, music history, creative activities such as basic improvisation and harmonization, and ensemble work. She incorporates private and group experiences, allowing students to benefit from one-on-one instruction, as well as interaction with fellow pianists. In group lessons, students will have the opportunity to perform for each other and delve into music history, theory, etc, in a fun and enriching environment. If interested in lessons, contact Jennifer for a free informational interview! Comprehensive music education of piano skills, aural training, theory development, sight reading, creative activities such as improvisation and harmonization, ensemble work, and music history. A $50 Book and Activity deposit per student is due at registration. This deposit will be used for all book expenses and activity fees during the year and will eliminate the need to pay additional monthly charges. If the funds are used in full, a copy of the charges will be mailed and another deposit will be requested. Monies not utilized will be refunded when lessons are discontinued. A non-refundable $30 registration fee is also due upon enrollment. Early registration is only $25, but must be received by May 1, 2018 and is also non-refundable. Monthly billings will be mailed to your home. Your payment is due by the 10th of every month. A late fee of $10 per student is charged to the next month, if payment is received after the 10th. Please be on time to arrive and depart from your lesson. I am only responsible for your child during their lesson time. Late arrivals will result in shorter lessons, as I will end the lesson on time. Make-up lessons are only offered for lessons missed because of the student’s illness or inclement weather, in which the teacher is notified at least 8 hours in advance. A make-up day will be scheduled at least once a semester for which students can sign up on a first come-first serve basis. If a student must miss a lesson due to another schedule conflict (such as vacation time, extracurricular activities, school events, etc. ), then you will be provided with a lesson swap list in order to switch with another student’s lesson time, as long as the teacher is informed at least a week in advance of the switch by the student who originally needed the exchange. If a student misses a group session, it cannot be made-up. Therefore, please make it a priority to be at every one of the four sessions. If the teacher cannot be at a lesson, a make-up lesson will be scheduled. **Missed lessons are still charged. It is the student/parent’s responsibility to make sure that they are at every lesson. Please give at least a month’s notice if you wish to terminate lessons. If notice is not given in time, that month will be charged regardless. The student’s lessons will be terminated if full monthly payments are not received regularly in a timely fashion. The teacher/student relationship is important for making any progress in learning. Respect for each other and the willingness to put forth effort must be mutual for this relationship to work. This will assessed regularly and communication between the student, parents, and teacher will be key in working through this process. The parent’s encouragement and support of the student’s practice and performance are major factors in determining the success of the student’s education. It is good for parents to supervise the practice sessions particularly of younger students. Beginners should be practicing an average of 30 minutes, five days a week. As the student advances, practice time should adjust accordingly. It is suggested that the student practice in shorter periods several times a day, as opposed to one large block. Other practice suggestions will be given in lessons, which is a primary reason that it is helpful for parents to sit in on the last 5 min. of the lesson for a recap. Please be open with me about any concerns or questions you may have about practicing or lessons with the child. I hope that by communicating freely about how the student is progressing we can work as a team to make the student the best he/she can be.